Thank you for taking the time to view our property! 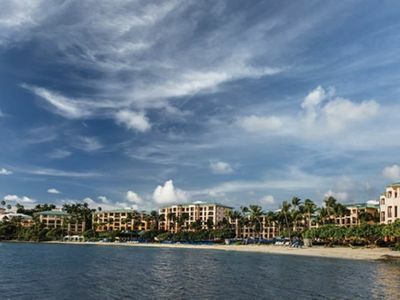 We would love to welcome you to beautiful St. Croix as our guests! 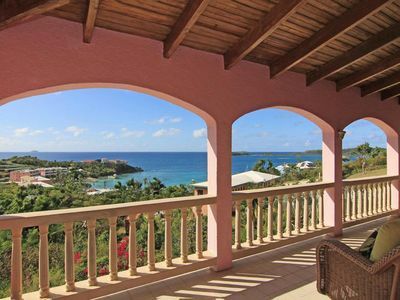 The Breakers is located on a dramatic bluff with wonderful views of The Caribbean Sea, Hamm's Bluff and Cane Bay. It's triplex design provides the utmost in privacy for two couples, with the huge bedroom suites located on the first and third floors, separated by the pool level living area. 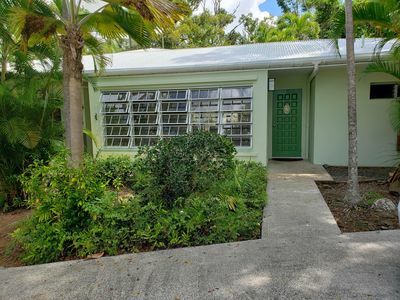 It's private oceanfront location is just a short stroll from the beaches, diving, restaurants and bars at Cane Bay. This new, finely detailed neo-Mediterranean style villa includes features and amenities that you would expend to find in a much more expensive property, including travertine flooring, French terra cotta roof tiles, antique brick patios, coral stone pool deck, locally handcrafted lighting fixtures, cook's kitchen with marble counters and professional appliances, beautiful baths with premium nickel faucets and spacious travertine showers, central air conditioning, and two sumptuously furnished equal king masters with en suite baths. The Breakers is gated and you park on the main level and enter into the great room which contains the living area, dining area and the kitchen. Screened sliding glass doors from the living area open to a spacious antique brick covered patio with views of the pool and the crashing surf. Another set of sliders opens onto the coral stone pool patio and there is a separate powder room adjacent to the pool. Comfortable lounge furniture overlooks the pool and the view from the pool really has to be seen to be believed. The living area features high end leather furnishings and six may dine either inside or outside on the teak dining sets. There is a 50" plasma TV, DVD player and iPod ready sound system in the living area. 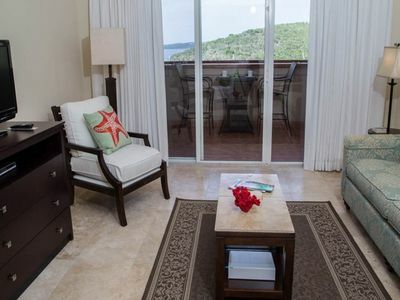 The spacious master suites are located on the first and third floors and are accessed by interior travertine stairways. Both feature custom en-suite baths and are outfitted with luxurious modern teak furniture, superior mattresses and comfortable cotton sheets and towels. The spacious covered antique brick patios feature comfortable lounge furniture for relaxing and enjoying the incredible views. 50' flatscreen TV's, DVD players and iPod ready sound systems provide entertainment. Laundry facilities are located in the lower level bedroom. ASK ABOUT OUR REPEAT GUEST AND REFERRAL DISCOUNTS! The kitchen and living room are multi-purpose areas great for sharing meals, board games, or family meetings. The dining room table can accommodate 4 adults comfortably. This masterful fully equipped kitchen features a chef’s delight. We have everything you need for a good meal, from pots and pans to stemware and dishware. 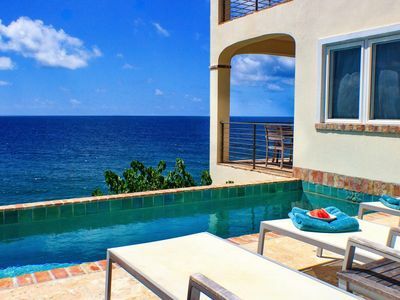 Our pool overlooks the beautiful Caribbean Sea. Start out your morning by swimming some laps or just splashing around in the pool. There’s plenty of sun and shade for all. 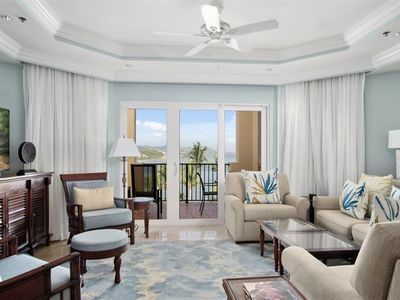 The poolside 1/2 Bath is an amenity that truly makes The Breakers At Cane Bay stand out. The owners thought of everything when building this architectural villa. 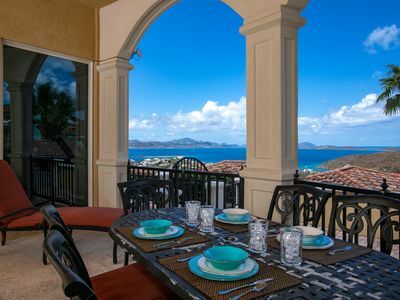 We have a beautiful area for outdoor dining with endless views of the sparkling blue water while dining al fresco and watching sailboats pass in the distance in the Caribbean. A benefit offered by our property manager is grocery delivery prior to the guests arrival. After a long day of travel, it’s nice to “come home” to some food and drinks! Prior to your arrival, our concierge can stock your fridge with cold beverages, or provide grocery items. This will save you time during your first day on St. Croix to enjoy the villa or the beach instead of worrying about grocery shopping. Personal Chef, In-Villa Massage and Spa, Day Trips, Tours, Sailing, Scuba Diving and, Golf Outings are just a few of the additional services that can be arranged by our concierge for our guests! 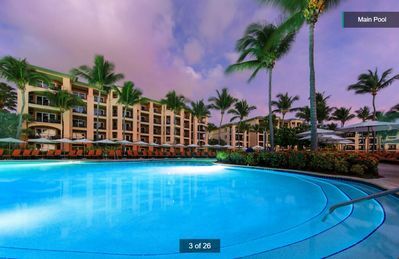 We want to make your vacation the best possible experience it can be! If you are coming here to scuba dive, The Breakers At Cane Bay is just 5 minutes from Cane Bay Dive Shop. 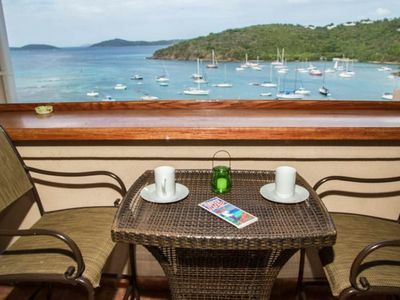 We are currently working with Cane Bay Dive shop to have special rates for our guests if you use their services. 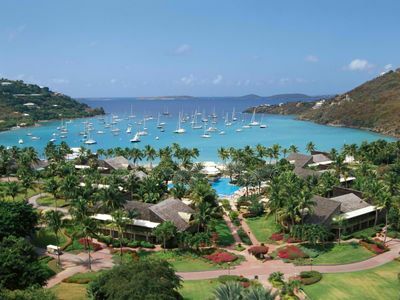 With over 50 dive sites in St. Croix, we thought we would help you narrow the list down to the very best! 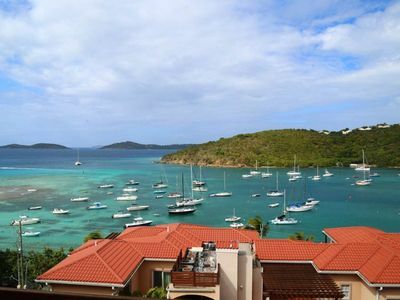 Here is a list from Cane Bay Dive Shop of the very best St. Croix Dive Sites. Please ask our Concierge to put you in contact! The closest dive site to The Breakers At Cane Bay is at Cane Bay, about 5 minutes away. 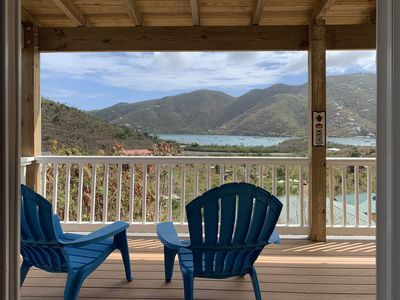 The furthest dive spot to the west of the villa that we recommend you go is Frederiksted Pier; the furthest east of the villa to go to is Salt River. Enjoy! Our villa is a prime spot for divers. We are just a few minutes from Sweet Bottom Dive Center on Cane Bay Beach. The Shop is very flexible with your dive schedule, and you can schedule your dive! 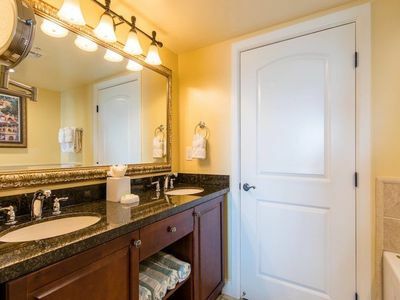 We can put you in touch with the owners or if you call to schedule make sure to tell them that you will be staying at The Breakers at Cane Bay. They will take very good care of you! 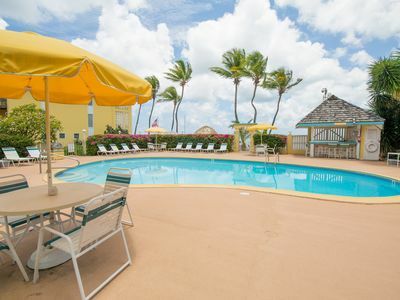 The Breakers At Cane Bay is one of the St Croix rentals that is only a 5 minute walk down to the Cane Bay Beach. Sweet Bottom Dive Center is located right on the beach front and has everything you'll need for your diving and snorkeling fun! 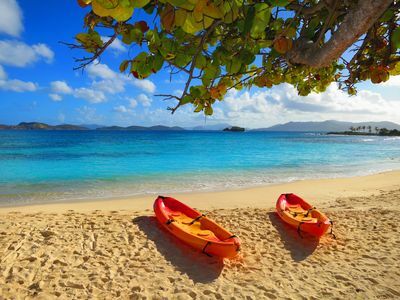 Located on the west end of St Croix, about a 30 minute drive, this beach is simply stunning. It has crystal clear blue water and a white sandy beach filled with sea shells. 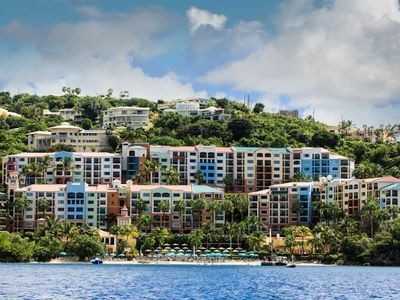 The Renaissance St Croix Carambola Beach Resort & Spa is just 4 minutes away from The Breakers At Cane Bay. It’s situated at the foothills of the rain forest. 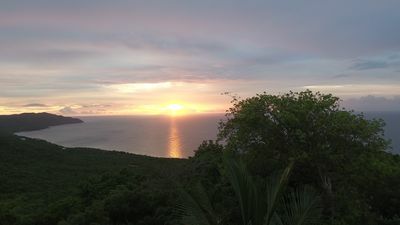 Located on the west end of St Croix, about a 30 minute drive, this beach is great for volleyball and live music. There is not much shade, so make sure to bring plenty of sunscreen! 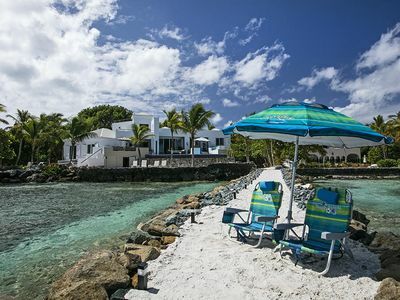 Protestant Cay beach is at Hotel on the Cay, about a 30 minute drive from the Caribbean villa. 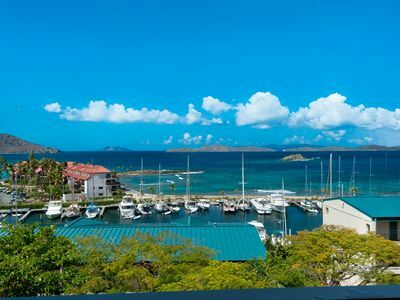 The beach is in the Christiansted Harbor and is accessible by a short ferry ride. 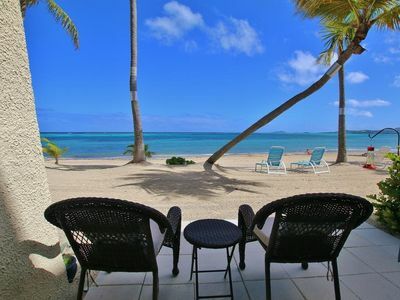 Located on the east end of St Croix, about a 35 minute drive from the Caribbean villa, this beach is quiet and secluded. There are no amenities at this beach, so bring everything you need!